On May 26, Coast Restaurant will be hosting a buck-a-shuck oyster tweetup. From 3-5pm they will be serving free oysters to all attendees. In order to attend the event, you must email marketing@glowbalgroup.com with your twitter handle and name to be added to the guest list. 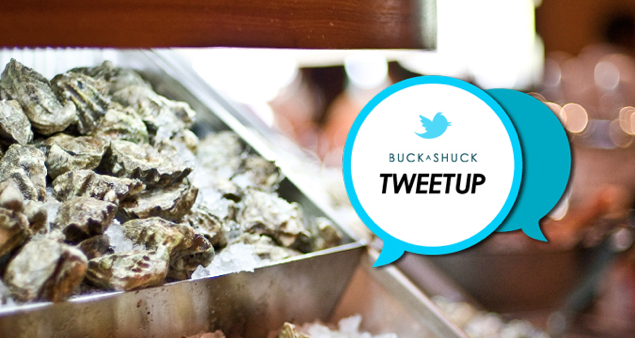 To kick off COAST’s new ‘Buck-a-Shuck’ summer hours (3:00-5:00pm 7 days a week), we invite you to come down for a Tweeup…and some #gcOysters on us! Join the @Glowbal_Group team and the COAST Bar Boys, @MartiniSlinger, @dmoted,@OscardelaOyster, @SnapEditShow and @JohnTBullock, for an afternoon of free oysters at the Chill Bar! Where: COAST Restaurant, 1054 Alberni St. Please RSVP with your name and Twitter handle to marketing@glowbalgroup.com. We look forward to meeting you all!